Whether you’re buying medals for a sports tournament, a trophy to mark someone’s academic achievements, or a gift for someone who means a lot to you, you can use our engraving service to make your chosen item extra-special. All of our awards can be personalised, so you can add the tournament details or even have the winner’s name emblazoned on one. We also stock stylish engravable gifts, including decanters, hip flasks, tankards and crystal bowls. Capable of providing consistent results, this is a contemporary version of the traditional engraving technique. When hearing the word “engraving”, most people automatically think about words or images being cut or carved into a solid surface, and that’s exactly what diamond engraving consists of. 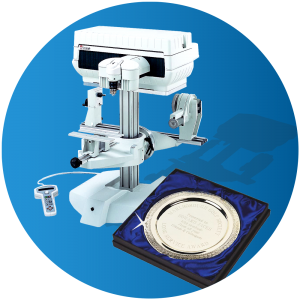 This high-tech process is carried out using a machine which can handle objects of varying shapes, so we can personalise cups and tankards, for example, as well as flat items, like base plates and medals. We create the artwork using vector files. This engraving technique can be used to personalise objects made from acrylic or flat glass, or items coated with metal. We carry out this form of engraving with a machine that can carve a message into the surface of the item, using a laser beam. 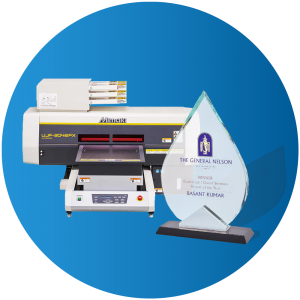 Laser engraving is the ideal method of adding a unique aspect to glass employee achievement awards or brass presentation plaques. We usually prefer to work with vector files when laser engraving images, but we can also use high-quality bitmap files, if necessary. We can even utilise sub-surface laser engraving technology to place an image or message deep within a block of glass, creating a really eye-catching effect. Finally, we can use colour printing to personalise items, such as medal boxes, brass plaques, and flat glass or crystal trophies. We apply specialist ink to the item and ‘bake’ it on, by placing it under UV light. 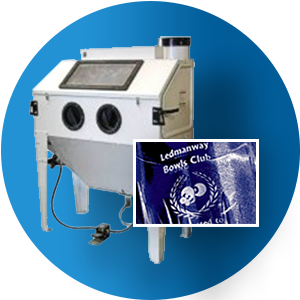 Our state-of-the-art equipment enables us to print on clear and dark-coloured surfaces, as well as lighter-toned ones. 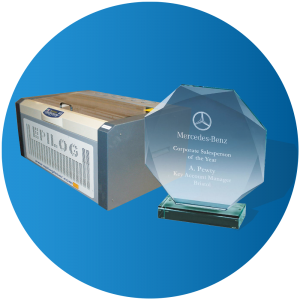 Our in-house sandblasting equipment enables us to etch onto the surface of glass and crystal awards or gifts, so the image or message looks as if it’s been ‘frosted’ into the item. To do this, we use a photographic process to create a mask, which we place on your engravable gift item, before applying blasts of compressed air and sand to it. This engraving method is a great way of adding elegant-looking messages to toasting glasses and cut-glass decanters.